Choose Binding Head and Tyrolia are the same bindings. 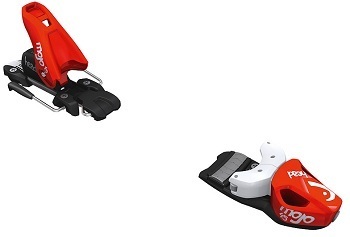 Now the smallest skiers on the hill can get the Mojo, with the NEW 2013 Head Mojo 4.5 AC junior ski bindings! Let's face it, all skis are wider, even smaller junior skis can be 80mm in the waist or more! So the smart people at Head built the Mojo 4.5 AC with an 84mm brake and the unique toe design accepts both junior and adult boot soles. This is it Groms! The binding you've been askin' for, The 2013 Head Mojo 4.5 AC!